We all want healthy relationships! So why don’t we have healthy relationships? To experience healthy relationships, it’s important to understand that the physical world we see is like a gigantic mirror. It always reflects back to us our dominant thoughts, beliefs, feelings and emotions. What we see is a result of what we project. Our world is the screen. On that screen is a movie. We each script it, produce it, direct it and even act in it. If you are unhappy with ‘the plot’ and the cast of characters in your life, then perhaps it is time for a re-write of your script. The quickest, most efficient way to change the world you see is to begin to be more open, willing and vulnerable to healing your life through the relationships you may consider unhealthy or unstable. Here are three key ways that the healing power of your relationships can assist you to create a new life for yourself. Tip #1: Be open and willing to stop trying to ‘fix’ and ‘save’ other people. If you are in the habit of trying to fix and save people be open and willing to give this up now! Do not expect anyone else to change because you want them to. If you are carrying a ‘I’ll be happy and at peace when (s)he changes’ belief, you are going to wait a very long time…even a lifetime, for that to happen. Wanting someone to change for self-gratification is an emotionally exhausting process. It creates stress and frustration, as well as physical disease. It is really about a need to control. Ultimately, the desire for someone else to change so we can be happy interferes with our Life learning process. In the end no one gains the wisdom required to be truly happy. This wisdom is programmed in to each relationship that affects our well-being. Instead of wanting other people to change for you, focus on YOU and how you can make an uplifting contribution to all of your relationships. Start by blessing all of your relationships, past and present, good or bad. When you do this you instantly have a more positive impact on the world. While going through this new process, you may also uncover some aspects of yourself that you may not like very much. Be okay with who you are! There is always room for change. Creating change from within is a conscious choice that we each can make if we want to improve the quality of all of our relationships. Tip #2: Get to know yourself now! If you truly desire more intimacy in your personal relationships begin by focusing on developing an intimate relationship with yourself. The truth is, if you are challenged being intimate with you, how can you expect to be intimate with someone else? Get to know “you” by going on a date with yourself. Spend alone time. Journal your thoughts about what you love about you. Begin to enjoy your own company! To improve all of your relationships begins at home, with each of us contributing our share for positive change. Gandhi said, ‘Be the change you want to see.’ This is especially relevant when it comes to the state of our relationships. To improve and awaken to the power of our relationships requires each of us to lead by example. 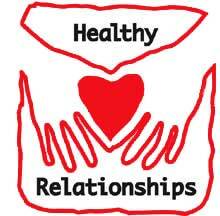 Strong, healthy relationships are the result of giving our focused attention to our feelings, emotions and energy levels directly linked to the relationships themselves. To improve our life and our world requires us to consciously aim to put our heart and soul in to each and every relationship, because your relationships always reflect the heart and soul of who you think you are and who you potentially can become. Tip #3: Begin to develop more self-confidence and healthier self-esteem. You achieve this by learning to let go of the past and cease worrying about the future. Be alive now. Accept that you are unique and one-of-a kind and so is everyone else. Experiencing healthy relationships is also about realizing that we are all interconnected to everyone and everything. To experience this idea of uniqueness and interconnectedness simply requires a shift in how you look at things. Recall that your life and world is the movie you created. You can edit and re-write the storyline as you choose. We are each the small successes on the big stage called Earth. Small successes, compounded over time, can create some awesome results. To achieve results requires commitment, fortitude, courage and a willingness to play the Game of Life. The Game of Life cannot be played out to its full beauty and grandeur without your consent. All, truly healthy, mature relationships, must contain consenting adults. From this point forward, consent to take responsibility for your life by strengthening all of your relationships. Have you ever considered Relationship Coaching? It’s great if you are single and looking, in a relationship or just ended one. See what it can do for you. I have recently learned that even the most unhealthy relationships are just a decision away from being an opportunity for me to grow. Love is a decision not a feeling. For me it is about looking at the other person as my higher power would see that person. Whenever I disagree with someone now, I shift my perception and allow myself to see their point of view and learn what I need to learn. What I have found is that it really isn’t the person that bothers me it is how I feel inside about the person that bothers me. I feel that it is usually something about me that I am angry or upset about. Learning to let go of hurt and being able to forgive both myself and others has been the key in bringing peace into my life. Thank you for this article. Thanks for sharing your journey, Doreen. All wounding begins and ends in relationships. When we are willing to shift our perceptions, let go of old beliefs and hurts, we begin to heal. It is only in our own healing that our relationships with others can heal and flourish.